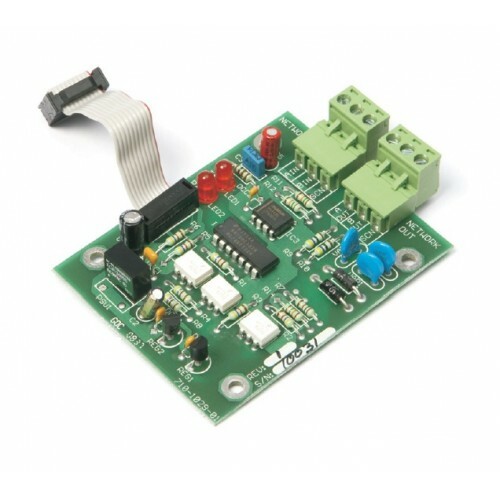 The Network cards are compatible with all Mx & Ax series control panels. The Remote Terminals (RCT & RDT), Mxp-010 BMS / Graphics interface and other network peripherals such as Advanced Mimic Units (AMU) all have integral network cards built-in. (Only use fault tolerant Peripherals and Remote Terminals on a fault tolerant network). The Standard Network Card is supported on all panels from software version 015 onwards. The Fault Tolerant Network Card is supported on all panels from software version 018 onwards.